Click the link below to find out more about our special offer for Pug parents! Come See Us at the Hampton Roads Home Show! Need Plans for this Weekend? Come Hang Out With US at the HRHS! Bonilla Pet Photography is proud to announce that we have first edition, artist signed books available for purchase and the proceeds donated to the VASPCA. This beautiful book includes portraits of all kinds of dogs having their hair blown around and looking fabulous. You’ve never seen dogs like this before! These artistic portraits are sure to be a hit with your friends and family. Please consider purchasing this book for yourself or as a gift for the animal lover in your life! Does your dog ever start running around the house like a crazy creature, for absolutely no reason at all? Say hello to the zoomies. The term “zoomies” is used to describe the quick, random bursts of energy that many dogs seem to experience. To get technical, these episodes of high energy are called “Frenetic Random Activity Periods” and they are usually just your dog releasing pent-up energy. More often than not, these episodes seem to come out of nowhere, but they can be brought on by excitement. If your dog sees someone they know, or maybe just had a really good poop, they can then suddenly get the zoomies! Speaking from experience, depending on the size of your dog, the zoomies are potentially dangerous for innocent bystanders. My neighbor has both a Golden Retriever and a sprained ankle. She had the misfortune of stepping into her dogs path during a post-poop zoomie, and was knocked right over into her pool. Most cases of the zoomies only last a couple of minutes, and they are very entertaining to watch, but be warned - many dogs seem incapable of hearing their owners and following commands while racing around. Zoomies seem to put dogs into their own little worlds. So the next time your dog has got a case of the zoomies, just make sure you stay out of their way and wait it out. The zoomies are a natural part of being a dog, so sit back, relax, and (most importantly) enjoy the show. We’ve all heard of it, but do we really know anything about it? Dyeing Your Pets Hair: Cute or Completely Crazy? Quick treats your pets are sure to love! The holidays are among us! If you still need to find some last-minute gifts for the animal lovers in your life, look no further: I’m here to help. A Bonilla Pet Photography Gift Certificate! Happy shopping & Holidays, everybody! Shiba Inus: The Ups, the Downs, and Everything in Between! Everything you need to know, from the human of an especially peculiar Shiba Inu. Shiba Inus are already a favorite breed in their home country of Japan, but they’ve been gaining popularity in the United Sates since their introduction to the country about 60 years ago. The first documented Shiba to enter the United States was imported by a military family in 1954! If you’re looking for an independent dog, then a Shiba is the breed for you! Shiba Inus spend a large amount of time grooming themselves, and even licking their paws like cats. This innate cleanliness makes them pretty easy to potty train. Shiba’s are just as aloof as cats, and aren’t in the business of seeking out human affection. Personally, my family has a Shiba Inu named Miya who’s been known to get up and walk away when she’s decided she’s been pet enough. Shiba Inus are not generally noisy dogs. However, should your Shiba notice someone strange walk past (or even worse, up to) your house, they’re going to make sure you know about it. Shiba Inus are also equipped with very impressive memories. To demonstrate how these two characteristics tie into one another, I’ll tell you a little about my Shiba and the exterminator. My family as both a Shiba Inu, and an exterminator. The exterminator comes to our home once a month, and somehow, Miya has learned that she can expect to see him the second Wednesday of each month. I have no idea how she does it, but from the morning before he shows up, until the afternoon when he leaves, she’s barking and guarding her home and her humans. Shiba Inus are the drama-queens of the dog world. If they are unhappy about something, they’re going to let you know about it, and they just might do that through the infamous “Shiba-Scream.” Yes, scream. This particular vocal styling sounds a lot like a wailing human; it is high pitched, and powerful. The most common cause for this kind of reaction would be a source of stress. My family was blissfully unaware of this trait until we gave Miya her very first bath. This was the bath heard ‘round the neighborhood. Needless to say, we just take her to the groomer now! Remember how I said Shiba Inus are the cats of the dog world? Well, just like cats, if your Shiba can fit its head through a space, they are going to try their absolute hardest to squeeze their bodies through. When my Miya was a puppy, she got out through the fence surrounding our patio. Once she was loose, she was gone. It took a while to find her in the neighborhood, but luckily we found her. She wasn’t allowed back onto the patio until she got a little bigger, and even then, we once found her with her head stuck in the fence. You will be stopped and complimented on your dog. Shiba Inu’s have very foxlike features, and are often (in my own experience) mistaken for baby Huskies. Miya is twelve now, and still, every time someone new crosses paths with her, she gets told how pretty she is. Since she thinks she’s Dog Royalty and her ego couldn’t possibly get any bigger, she tends to brush off these comments, but I always like them. While their bodies may be small, a Shiba Inu is packed full of personality. To really mesh well with a Shiba, you have to have a sense of humor. They’re stubborn, and they get bored easily, so you can imagine they’ll find ways to entertain themselves! (Hopefully in a way that also entertains you.) Miya has adopted this new habit of going into our pantry and sticking her head into the treat bag, until she’s had what she feels to be a sufficient amount. She also will not let us leave the house without giving her a biscuit first. You’d be surprised how demanding a 25lb dog can be. Thanks for reading, hopefully you’ve learned something about Japan’s favorite dog! (On top of learning that my Shiba Inu is spoiled rotten.) See you next time! See us at the Bodacious Bazaar! The amazing Bodacious Bazaar is taking place in Hampton next weekend! I have heard it is a fantastic show! The vendors who attend have unique and high quality products. I hope I get some time to walk to the show and spend some Christmas money! I will have my booth at the show as well! And new for this show, we will have gift certificates you can purchase at a discount. For example we will have a $500 gift certificate you can purchase for only $299!! I will also have a sign up for a free sitting!! So come out and see us. This is a great opportunity to purchase a pet portrait for yourself or as a gift for a loved one! Santa is coming to Bonilla Pet Photography!!!! Get your Christmas Cards!! 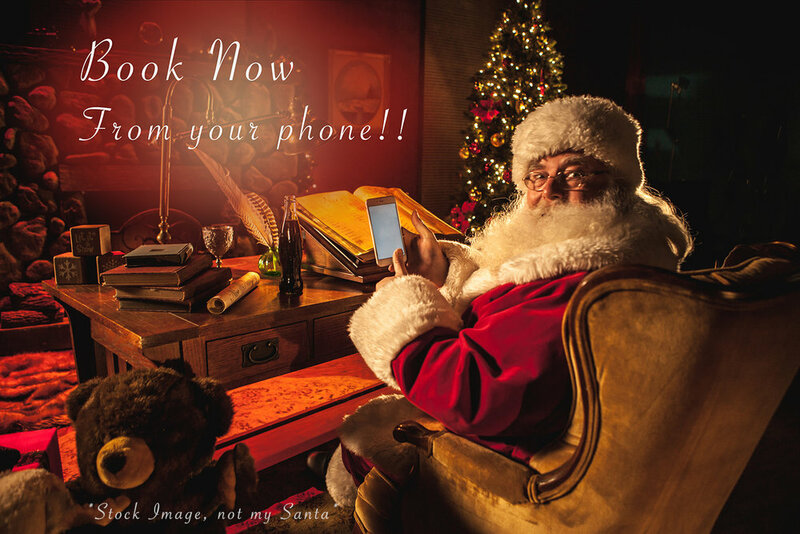 Bring your fur babies in to get a beautiful portrait made with Santa in his workshop!! The social media file for sharing with your friends! Additional cards available for $65 for 25. Reserve your spot today, they won't be available for long! Pets Help Mental and Physical Health! Most of us have seen the dogs on duty with service vests at the supermarket as we quickly educate our human children why they cannot go up and pet the “pretty puppy.” These dogs help people with a wide array of challenges from blindness to anxiety, but your pet does not need to be a trained service animal to have health benefits for you and your family. In fact, even the scruffiest-looking doggo or sassiest cat adopted from a local shelter can have enormous health benefits to all the humans in your home. Let’s get to the heart of the matter and discuss how amazing pets are for your cardiovascular health. First off, dog owners are more likely to get activity playing or walking their canine buddies promoting heart healthy activity levels. Furthermore, dogs, cats, and just about any pet will lower your blood pressure by lowering your stress levels. Better yet, pets have been found to help fight depression, improve self-esteem, and battle loneliness! These benefits are not limited to service pets either. In fact, Mr. Mittens, or your Naked Guinea Pig can improve your mental health without any specialized training at all! Their love, silly antics, and companionship do the trick! Going beyond a cute puppy being a “chick-magnet”, pets have shown to improve relationships humans have with other humans. Pet owners tend to be nicer and are even considered to be more attractive to other pet owners. Furthermore, those in relationships with pets benefit from lowered stress levels causing increased patience and overall happiness with their human relationships. Pets are amazing creatures that find their way into our hearts. They provide us with unconditional love (yes, even that disdainful kitty loves you deep down! ), and a lifetime of memories. The value people place on their pets is absolutely founded when we consider all of the numerous benefits these creatures have on our lives. Sarrah Isenhour is the Assistant Director of Marketing and Sales at Bonilla Pet Photography. She loves her four finicky feline fur babies and one precocious pooch. Celebrating the bond pet parents have with their pets is her passion, and she actively works with other pet parents to capture their bonds through arranging pet portraits. Whether expected or unexpected, the loss of a beloved pet is devastating. In fact, devastating does not even touch the amount of emotion and grief following up the loss. These wonderful creatures are more than just some animal, they’re family. If you need validation that your grief is warranted, it’s right here. Consider yourself validated. Now, it is time to cope. Grief is very normal and even the Mayo Clinic advises you to allow yourself to mourn when facing the loss of a family member. It may seem like isolating yourself is the thing to do, but don’t get caught in that trap. Instead, surround yourself with supportive people—and if you have other pets, lavish them with extra love because they are feeling the loss too in their own special ways. Lastly, be sure to take care of yourself during this time. Eat, do something nice for yourself, and get some exercise in. Our pets are only with us for a short while, and losing them is the equivalent of losing a part of ourselves from all the energy mutually invested in the relationship. It’s okay to be lost for a little while, but your pet wouldn’t want you to grieve forever. Instead, they would want you to live the fullest life you can. After all, isn’t that what you tried to give them? The Memorial Wall in our studio where we have portraits of every pet who has crossed the rainbow bridge since we made their portrait. As the parent to a fur baby you have a huge responsibility. Let’s face it: Mr. Mittens has not mastered the art of human language, and it is up to you to determine what is in your feline’s best interest. Knowing this, many parents of purring bundles of joy (or adorable disdain) will ask themselves whether or not to declaw their fish-loving feline friend. Declawing your cat involves a serious surgery and is more than just removing a claw. The surgery removes the entire toe bone and claw. Imagine if you got a surgery to remove the last knuckle in each of your fingertips—yep, that’s what a declawed cat will experience. If you just cringed, you’re not alone. The most difficult part continues after the declawing procedure where your mewling fur baby has an increased chance of arthritis, behavioral issues, litter box challenges, and post-surgical infection. When making care decisions for your fuzzy (or hairless) purr box, be sure to talk to your vet and get all the facts. Declawing your cat is almost always optional, and your super-busy vet may not go over every detail with you unless you ask further questions. Before making this decision for your feline fur baby, make sure you have all the facts because once those claws are gone, there is no turning back for Mr. Mittens. Sarrah Isenhour is the Assistant Director of Marketing and Sales at Bonilla Pet Photography. She loves her four finicky feline fur babies and one precocious pooch. 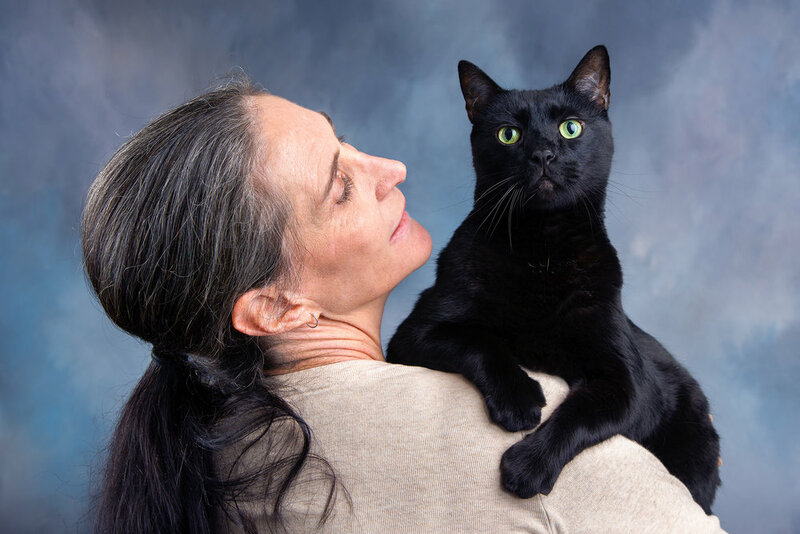 Animal advocacy is her passion as is celebrating the bond people have with their pets. Below: Some recent cat portraits! Call now to find out about having a portrait made of your cat! (757) 912-5862. Mention this blog to get $50 off. Here at Bonilla Pet Photography, we pride ourselves on our "Any Pet Guarantee." What this means is that our professional animal handlers are capable of working with any type of pet and their individual personalities. When most people think of a pet, they usually think of a cat or a dog. However, exotic and unique species of animals are becoming more popular as pets every day. We love to work with all types of animals such as cats, dogs, guinea pigs, birds, snakes, pigs, and more! Most animals that come to a new place are super curious and understandably, nervous. However, whether your pet is super hyper and fun-loving, or very shy and nervous, we will make them feel right at home and help them to get comfortable in our studio. We work with all kinds of pets and are capable of making gorgeous portraits of them! Our professional pet handlers are experienced in the animal field from pet stores, humane societies, and veterinary clinics. They are able to read an animals body language and figure out what it is that your pet needs to feel more comfortable. If you are nervous about taking your pet to a portrait studio because of their species, behavior, or personality, please reach out to us and we would be more than happy to create your pet's portraits! Have you ever heard of dog daycare? Many people haven't. Doggie daycare refers to short-term daytime care for your dogs. It is often a good option for pet parents that have busy work schedules or who are out of the home a lot. Doggie daycare can be very rewarding and enriching for your pet, especially pets with separation anxiety because it provides them with companionship throughout the day where they can run and play. Great Neck Doggie Daycare is a newly renovated, 10,000 sq. 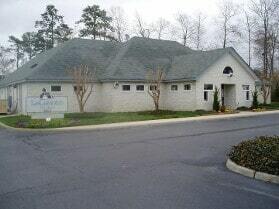 foot facility, located at 2220 Laskin Road in Virginia Beach, VA. The facility has many fun things for your pooch to do such as playing in an indoor or outdoor play area and even swimming in an outdoor saltwater pool! Great Neck Doggie Daycare offers daycare, boarding, grooming, bathing, training, obedience, spa, massage, and lots of doggie playtime. Their boarding includes over forty private doggie bedrooms complete with its own custom bed, TV, and soon their own webcam. They promise to make sure every client has a convenient and satisfying experience, while also leaving clients with a peace of mind when their pets are dropped off to stay awhile. If you're looking for a doggie daycare for your furry companion then I highly recommend this business! Portsmouth Animal Hospital is a friendly and welcoming Veterinary Clinic located in beautiful Portsmouth, Virginia. Formerly known as Casey Animal Hospital, Dr. Klarissa Ligon purchased the practice in July 2011 and Portsmouth Animal Hospital was created! Dr. Klarissa Ligon, the medical director and the owner of Portsmouth Animal Hospital graduated from Virginia Tech and has worked in multiple Virginia cities as a Veterinarian. Her special interests include dermatology, dentistry, and holistic medicine. She is currently expanding her education and interests in veterinary acupuncture as well. The practice also includes three other Veterinarians; Dr. Amy Harrell, Dr. David Smith, and Dr. Lisa Corkern, and includes eleven other team members who keep the Veterinary Hospital running in tip-top shape. If you are looking for a clinic that has years of experience in offering regular pet wellness care and who stays on top of the latest advances in veterinarian technology then this is your place! A few of their services include dermatology, emergency and urgent care, flea and parasite prevention, end of life care, boarding, grooming, dental and x-rays, while also catering to many species of animals. At Portsmouth Animal Hospital they are committed to educating their clients in how to keep their pets healthy year round, with good nutrition and exercise. Be sure to check them out today! Summer is here and that means cookouts, celebrations, and firework-filled nights! We all want to make sure our pets stay safe during these times. Are you prepared? Here are some tips from the American Veterinary Medical Association. Take a current photo of all of your cats, dogs– just in case. If your pet has historically been anxious during celebrations or fireworks, or if you have reason to expect potentially harmful reactions, consider behavioral therapy to desensitize your pet and reduce the risk of problems. Some pets may need medication. Consult your veterinarian or a veterinary behaviorist. Avoid the urge to feed your pets table scraps or other foods intended for people. Have you had to leave home for an extended period of time? Maybe you had a sudden family emergency come up or you're finally able to go on that dream vacation you so deserve? We've all been there and generally, when it happens we all get stumped by the question "Who will watch my pets?" Las Gaviotas Pet Hotel is a clean, friendly, and comfortable pet boarding facility with more than two decades of experience! Their pet kennel has been deemed one of the best by both veterinarians and clientele. Las Gaviotas Pet Hotel ensures to provide each furry family member with individualized love and attention multiple times a day while also featuring a facility that is sanitized and has both air conditioning and heat. The facilities are also pest-controlled and have state of the art security and fire protection. While your pet is staying with them they are able to participate in lots of fun activities such as strolling through the park, going treasure hunting, or enjoying a slumber party! With affordable boarding rates, Las Gaviotas is considered one of the best boarding facilities in Hampton Roads. If you are interested or need to have your pet boarded be sure to check out Las Gaviotas Pet Hotel! When most people think of June their first thought is usually a month filled with warm summer days, family barbecues, and lots of beach trips! However, to the staff at an Animal Shelter, the biggest thought that is running through their minds is kittens, kittens, kittens! The month of June.... and pretty much all of the Spring and Summer season is what is known in the animal care world as "kitten season." Kitten season is generally described as the time of year when an astonishingly large amount of stray or orphaned kittens and a lot of pregnant cat moms find their way into an animal shelter whether it be by the local animal control picking them up or a kind samaritan bringing them in. During this time most shelters are scrambling to find every foster family and possible resource available to take these moms and kittens until they are big enough and healthy enough to come back and be put up for adoption. This process can take anywhere from one week to a couple of months! 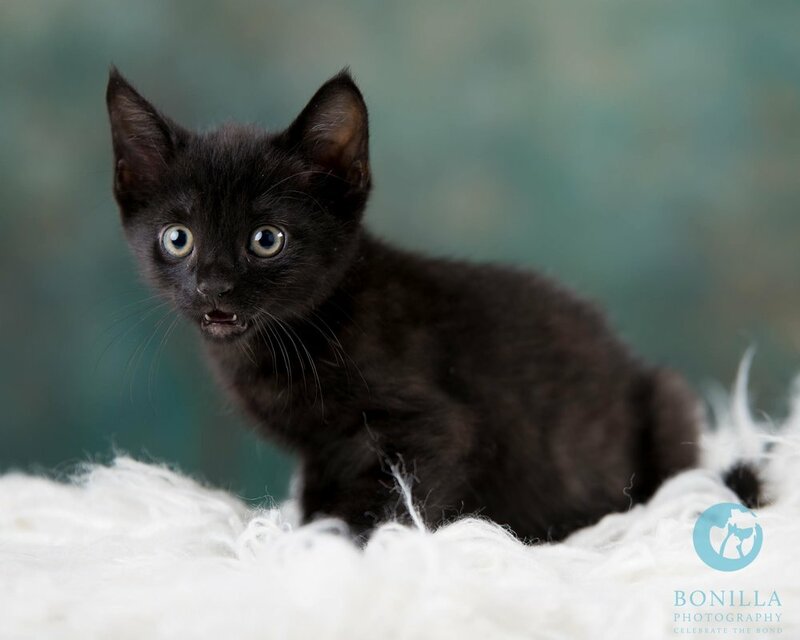 Fostering- Shelters are always looking for families to foster their cats and kittens! It helps the shelter so that they can keep space available for other animals that are coming through their doors, but it's an even bigger help to the cats and kittens that are coming in! A lot of cats and kittens that enter a shelter environment are exposed to a plethora of different upper respiratory diseases. They also do not get as much one on one care that they so desperately need since a lot of times shelter staff are stretched taking care of hundreds of shelter animals at a time. Taking a mom and kittens home or even an orphaned group of kittens greatly reduces their chance of being infected and developing complications from URI. They are also able to get the extra one on one love and care that they thrive from so that they remain happy and healthy and can be put up for adoption sooner! Adopting- Whats better than bringing home a fun, furry, new bundle of joy? Adoption is one of the greatest things you can do for a homeless pet. It's actually one of the best things you could do for yourself as well! Animals provide an amazing amount of companionship and cats are full of different personalities so there's always bound to be one that matches what you are looking for! Did I also mention it's been said that having a pet can lower stress levels, lower blood pressure, and improves one's mood? Every year thousands of animals end up at a shelter waiting to find their perfect forever home. If you are interested in bringing home a new furry family member then always remember to stop by your local shelter! Donating- If you are unable to adopt or foster the next best thing you can do to help is donate! You can donate lots of helpful items such as blankets, heating pads, kitten formula, and other cat care items! A lot of shelters are non-profit, meaning they rely heavily on donations from the public. When there is a big influx of cats and kittens, supplies diminish fast! Donating items to a shelter will help to ensure that moms and kittens will get food, warmth, and all of their basic care to help them grow! There are numerous ways to help your local shelter cats and kittens! Don't be afraid to stop by your local shelter to take a look around! You never know, you may just find your new best friend!